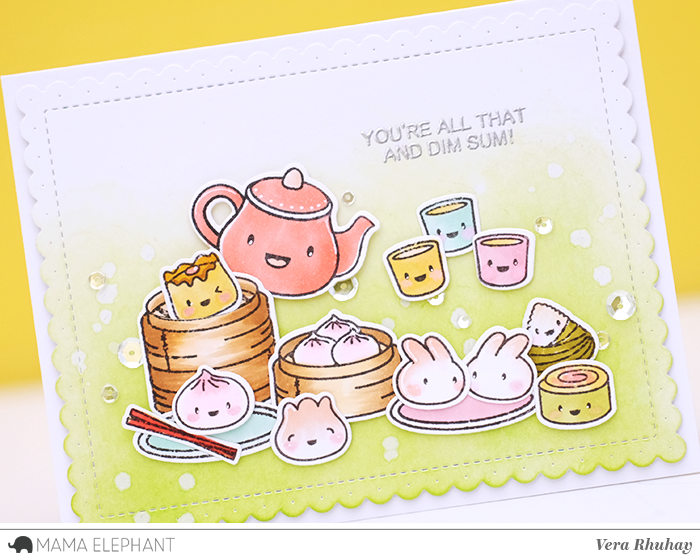 I stamped all images on Bristol paper, colored with Copics and cut with the Dim Sum Fun coordinating creative cuts. And here are the copics list that I used. For my first card, I only set the images I have colored into this card, using scallop frame from Framed Tags - Chelsea Creative Cuts as background. and here is my second card. I used leftover diecut from my previous project that using Framed Tags - Union Square Creative Cuts as my panel card. 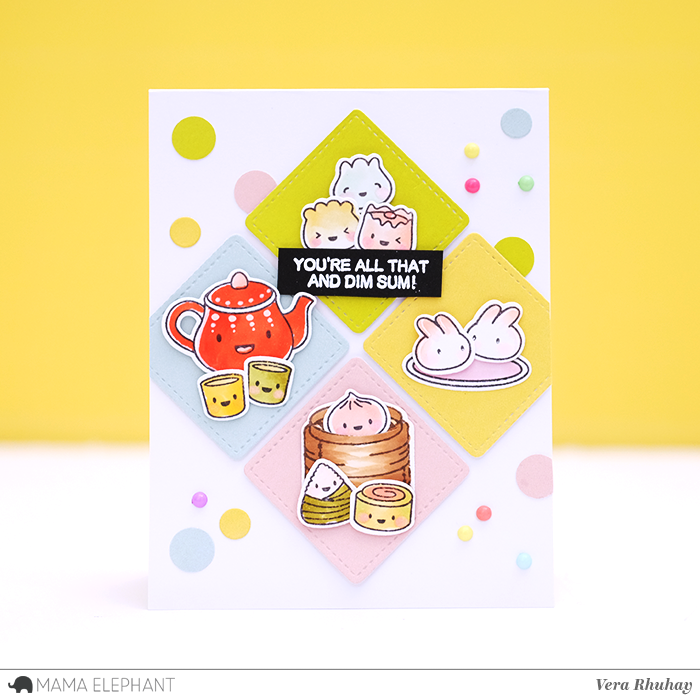 Don't forget to come back tomorrow as we have another Dim sum fun week inspirations! 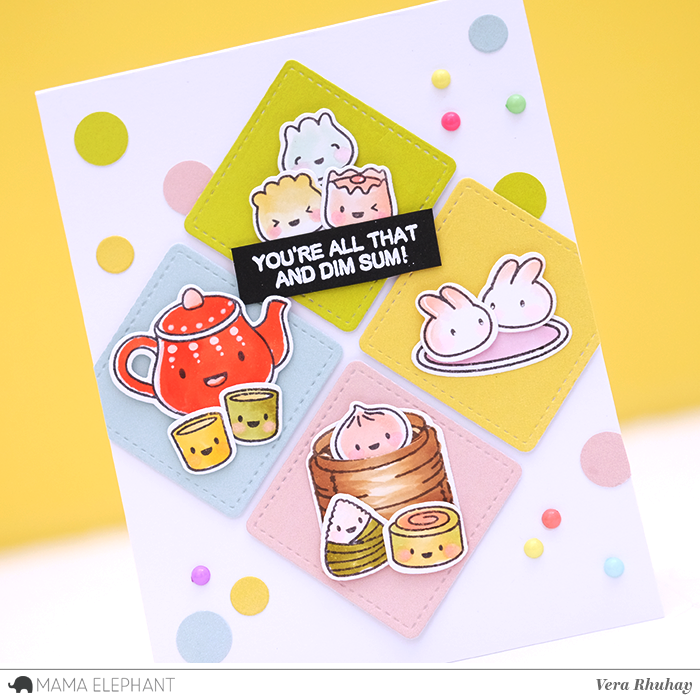 Gorgeous cards and colouring! I so want this set to play with myself! So cute. So much fun. The cards are so adorable. Dim sum makes me happy. 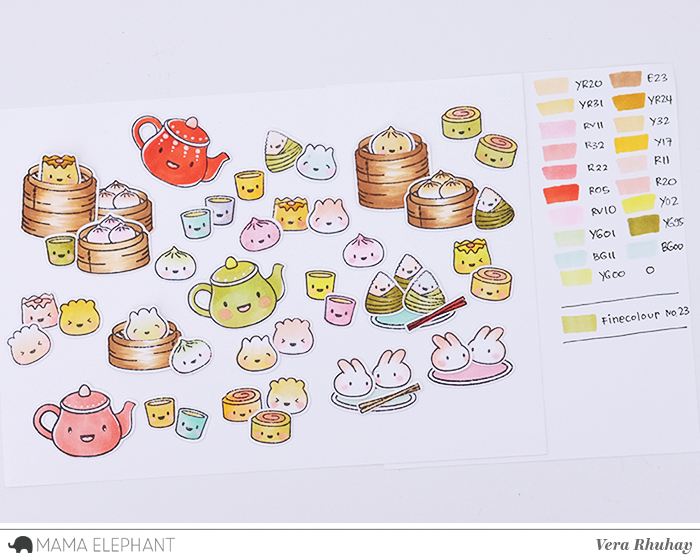 Gee, the coloring is so perfect for the dim sum. It's making me hungry. 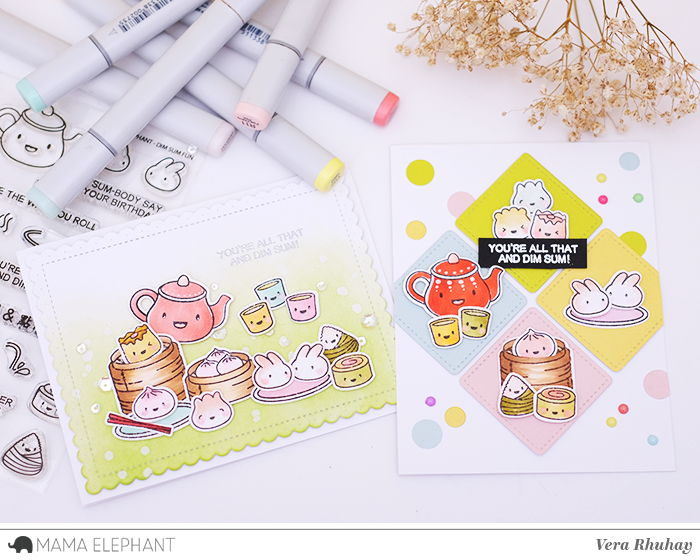 These are so pretty and sooooo cute!! 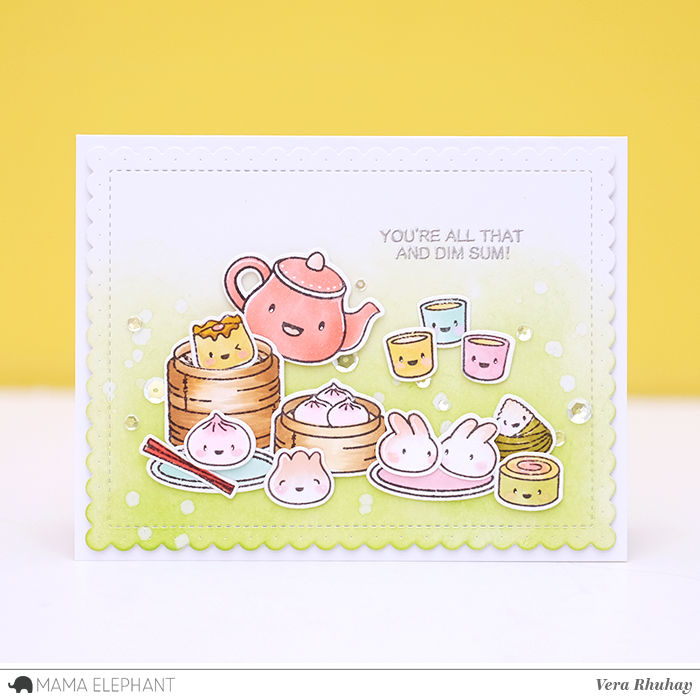 These cards are so cute. I love the darling images and sentiments.